Chilam Cheung (張智霖) is known for his good looks and good acting. Yet unfortunately, his talents have never brought him any Best Actor awards. 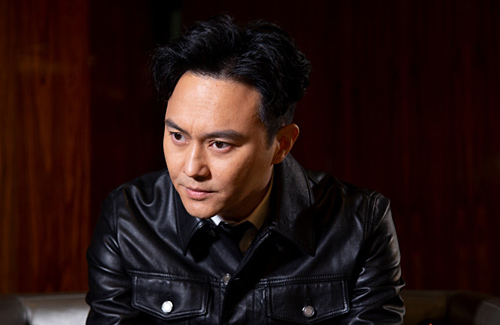 Chilam made a splash into the entertainment industry in 1991 with his hit single “A Modern Love Story” <現代愛情故事>, and later started filming dramas with TVB. His TVB dramas include: The Mystery of the Condor Hero <射鵰英雄傳之九陰真經>, Cold Blood Warm Heart <天地男兒>, Return of the Cuckoo <十月初五的月光>, and Triumph in the Skies 2 <衝上雲霄II>. Chilam’s latest drama was ViuTV web drama Eclipse Storm <蝕日風暴>. With so many opportunities, how has he not won Best Actor? i guess i can agree with that. real life is very mundane, but movies & dramas can capture & enhance every minute detail & expression frame by frame, which dramatizes actors’ feelings. in real life, people’s emotions are shown fleetingly, but in film and dramas, their expressions are slowed down and exaggerated. i did notice a lot of good actors kind of have to do that while filming to be considered ‘good.’ they have to slow down and be very mindful about moving too fast. @coralie Yes, emotions are accentuated on screen, which requires actors to be *slightly* more stylized and flamboyant in their expressions, whilst still maintaining a degree of subtlety (unless you’re in theater). It’s a very delicate balance that few can master, and is generally what distinguishes a good actor from a great one. Those awards are nothing, there are tons of good actors and actresses never get awarded but they are better than the ones who received awards. Examples like actress Dong Jie and Shu Chang when they were still young, they were extremely beautiful. They are natural beauties without plastic surgery, put on very minimal to zero make up and still look good. But they never received any awards during their primer years. Chilam is extremely handsome and charismatic. Lots of actors today do not have that either. @davy Dong Jie and Shu Chang are still beautiful. Wish people could appreciate the beauty of women over 30 and not denigrate them for not looking 20 forever. They are still pretty but look less natural now, and it’s understandable since aging is involved. But what baffles me is, I don’t know if it’s just the new makeup or botox in today’s world that I have a hard time understanding why 20’s actresses today are so young and failing to have the natural skin type like DJ and SC in their 20’s.